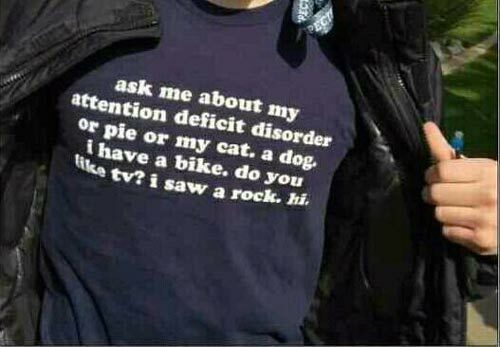 Ask me about my attention deficit disorder or pie or my cat. A dog. I have a bike. Do you like TV? I saw a rock. Hi. Created about 6 yrs, 16 days ago (April 9, 2013). Updated about 6 yrs, 16 days ago (April 9, 2013).